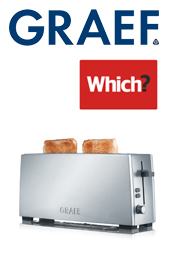 The Graef TO101.uk Toaster is the latest product to receive a WHICH Best Buy in their latest tests. Does it make great toast? Yes, it does. It gives very good coverage, turning the whole slice a lovely golden-brown colour on the medium setting. It’s also a very good option if you like to eat a wide variety of breads. As well as fitting all the standard bread styles, it will fit slices from bloomer loaves, and pitta bread. And tall slices will also fit if they’re turned on their side. What’s more, its slots are wide enough to fit thick slices – perfect if you like a nice chunky bite to your toast. HOME 2013 will take place on 13-15th January in London’s Earls Court 2, after a successful debut show in 2012 preparations are well underway for an even bigger homewares and interiors event. Bugatti Italy will showcase their electrical and cookware ranges on their stand B12. 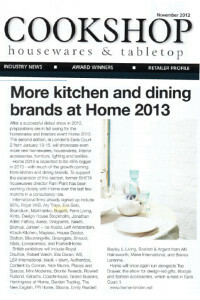 Top Moka, Ascaso and Graef will also have brand presence. Cookshop have a full article on the show on page 12 of their November 2012 edition, with Bugatti listed as one of the top international companies listed as supporting the show. 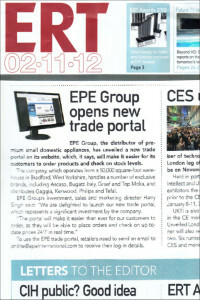 EPE were in the news again this week as the new EPE Trade site portal goes live! EPE Group, the leading distributor of premium small domestic appliances, has unveiled a new trade portal on its website, which will make it easier than ever for its customers to order products and check on stock levels. The company, which operates from a 50,000 square feet warehouse in Bradford, handles a number of exclusive brands including Ascaso, Bugatti Italy, Graef and Top Moka, and distributes Gaggia, Kenwood, Philipsl and Tefal. Harry Singh, EPE’s Group’s investment, sales and marketing director, said: “We are delighted to launch our new trade portal which represents a significant investment by the company. To use the EPE trade portal, retailers need to send an email to online@epeinternational.com to receive their log-in details. 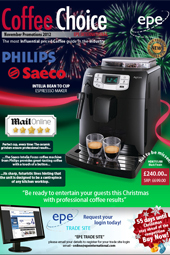 The Saeco Intelia Focus Bean to cup Espresso maker makes its debut on the cover of Coffee Choice this month. The espresso maker, which was awarded 5 stars by the Mail Online recently, features ceramic grinders, adjustable coffee strengths and one touch espresso and long coffee options ensuring professional coffee results every time. The Saeco Intelia is the perfect coffee machine to entertain and impress your guests this Christmas, with it’s sharp, futuristic lines the unit is designed to be the centerpiece on any kitchen worktop. See the full specification for this machine on page 30 of Coffee Choice November 2012. The EPE Trade Site is almost complete. 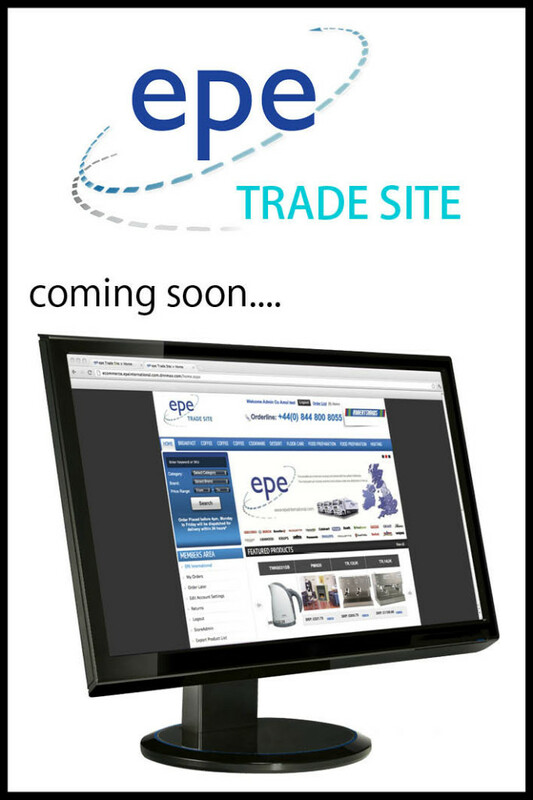 EPE customers will soon be able to login to the trade site to check stock, prices and place orders, as well as download Hi-Res images of all the products. To be able to use the Trade Site as soon as it goes live request your log-in details now. 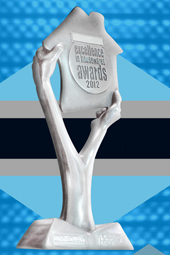 Email – online@epeinternational.com with your company details. Trade Show at The Bridge Hotel, Wetherby, it gave EPE the opportunity to meet with Associate members and exhibit and introduce their products and the company to Retra dealer members. RETRA hold numerous trade shows for their members throughout the year up and down the country. The show was EPE’s first step in building strong working relationships with the RETRA team and all its members. A recent article in The Daily Mail from consumer group Which? confirmed buying from the independents is the right way to buy! Independent shops often sell electrical goods just as cheaply as large chain stores, according to the consumer group Which? More than 1,200 independent retailers in the UK buy products through Europe’s largest electrical buying group, Euronics. Debenhams, House of Fraser, John Lewis, PC World and Selfridges. 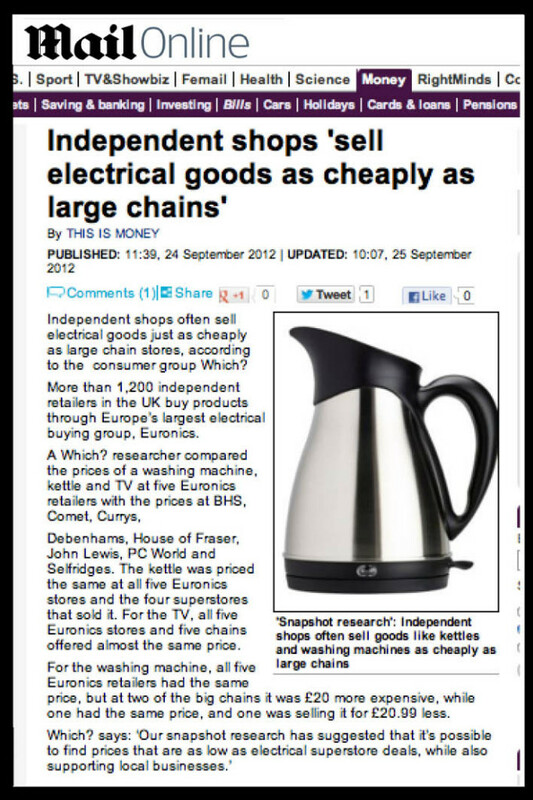 The kettle was priced the same at all five Euronics stores and the four superstores that sold it. For the TV, all five Euronics stores and five chains offered almost the same price. For the washing machine, all five Euronics retailers had the same price, but at two of the big chains it was £20 more expensive, while one had the same price, and one was selling it for £20.99 less. Top Moka coffee pots are designed and created in the breathtaking Lake Maggiore’s panorama, located in the north-west of Italy. The coffee pots are all handmade from alimentary aluminum and produced with the most accurate treatments by highly skilled artisans. 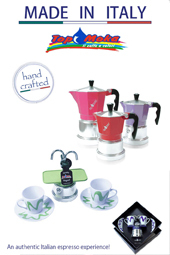 Top Moka Italia is the only company remaining that produces aluminum moka coffee makers entirely in Italy, and the only one around the world to have such a wide range of colours. The “Top”, is the classic and original stovetop coffee maker and is designed to steam brew an excellent espresso coffee. The double bottom and the boiler heat releaser, allow a smooth and gradual coffee outflow, taking full advantage of the best coffee blends. The Top is available in 1, 3 and 6 cups sizes and is also available in stylish gift boxes “Queen of Hearts” for 1 and 2 cups models, with matching saucers and cups. The “Mini” Espresso Maker steam-brews strong, espresso coffee in about five minutes, and is available in either a single or double-cup design. Entirely made of Alimentary aluminum, the coffee is channeled directly from the boiler to the cups, through arched tubes. Coffee is dispensed in a few seconds and can be served by bringing the pot to the table by means of a small protruding handle, or by sliding out the cups. “Mini” Queen of Hearts boxed sets with matching cups and saucers make the perfect gift and are available in both one and two cup. Top Moka is the latest brand managed addition to the EPE Group, to view the full range on offer turn to page 45 of Coffee Choice October 2012. 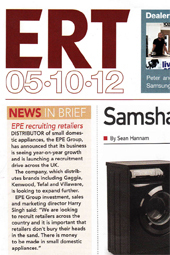 EPE are featured in this weeks ERT magazine amidst their drive to recruit retailers across the country. 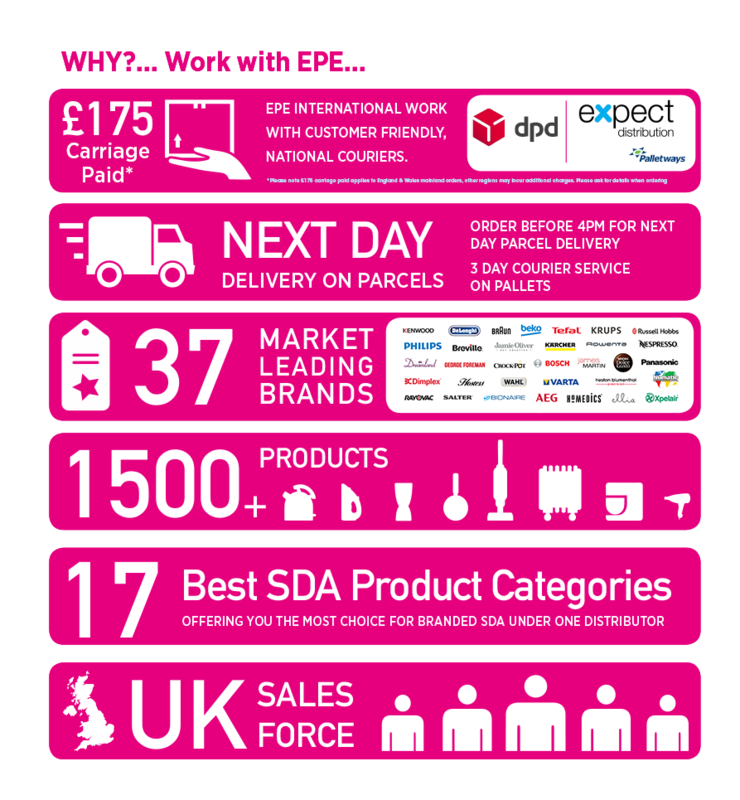 Distributor of small domestic appliances, the EPE Group, has announced that its business is seeing year-on-year growth and is launching a recruitment drive across the UK. The company, which distributes brands including Gaggia, Kenwood, Tefal and Villaware, is looking to expand further. EPE have introduced another exclusive product to the SDA market this month. 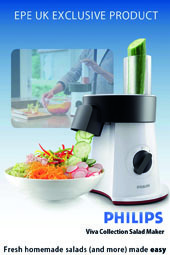 Philips have launched the Viva Collection SaladMaker and have chosen EPE to be the exclusive distributor for the UK. The Philips SaladMaker leaves it’s rivals standing on all levels. At 200W it has the power, with an extra large feeding tube it has the speed, and with slicing, grating, shredding, julienne and French fry stainless steel disks it has the variety! The SaladMaker also cuts directly into your bowl making your salad ready to serve directly. And it doesn’t stop at salad the SaladMaker also cuts vegetables, cheese and even meats it really is a great versatile product! 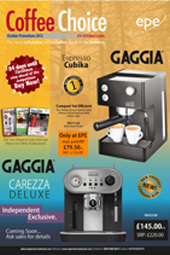 EPE are offering an Ascaso Arc Versatile espresso machine to one lucky EPE customer this month. 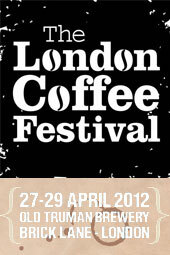 Correctly count the number of bats hidden inside this month Coffee Choice and you could be in with a chance of winning! Simply search the brochure for the bats and email your answer to sally@epeinternational.com, if you have the correct number you will be entered into the free prize draw. One lucky person will be drawn at random on the 31st October. Good Luck! To view an image and the specification of the Ascaso Arc Versatile turn to page 3 of Coffee Choice October 2012. 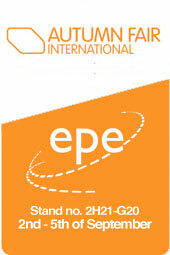 EPE were back at the NEC, Birmingham earlier this month and had their best show yet! Autumn Fair 2012 ran from 2nd-5th September and welcomed over 32, 000 visitors over the four days. 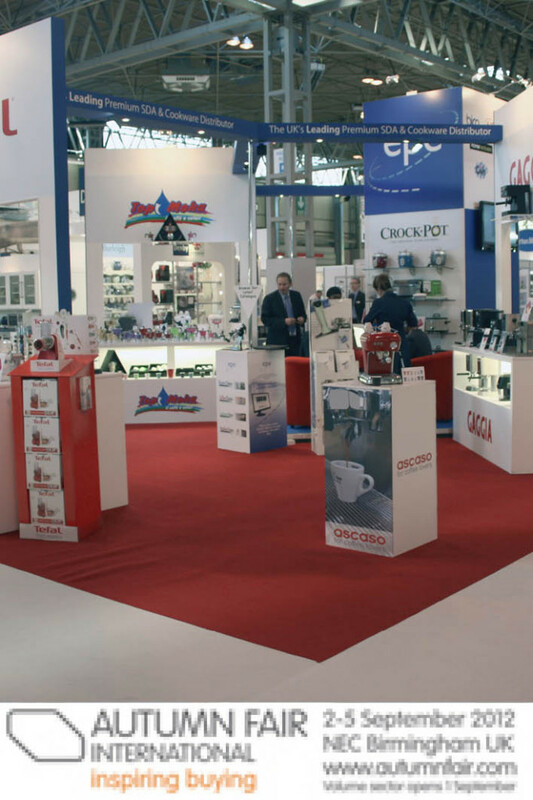 EPE welcomed customers old and new to the stand in Hall 2 and reported their best sales to date from a show affirming that they are “The UK’s leading premium SDA & Cookware distributor”. 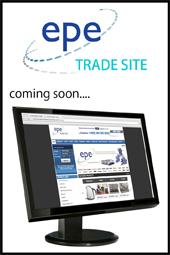 EPE are currently putting the final touches to the new on-line EPE Trade Site. “Small Electricals distributor to cookshops and department stores, EPE’s influence on the housewares market has grown in tandem with the growth in small electrical appliance sales and the coffee culture boom. Market research company, GfK Retail and Technology UK says the Small Domestic Appliances market was worth £2.4 billion in 2011, and the UK saw an increase of 4.9% in total growth compared to 2010. Staying in tune with customer needs, Noel leads the EPE team, assisted by Investment, Sales and Marketing Director, Harry Singh. 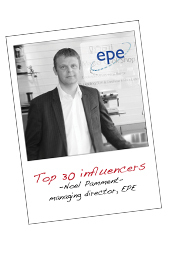 Noel works with leading brands, including De’Longhi, Kenwood, Gaggia, Krups, tefal, Philips, Bosch and Russell Hobbs. Graef Toaster TO90UK scored highly in Which? Magazines October feature on the best toasters for breadmaker bread. Which? state that breadmaker bread is often taller and wider than sliced bread from commercially produced loaves, which means untoasted edges in an average toaster. However the Graef toaster has long slots that fit larger slices when turned sideways, making it versatile enough to cope with a range of sizes and make toasting breadmaker bread easy. See Page 10 of this months Buyers Choice for the TO90UK and the range of Graef products available. 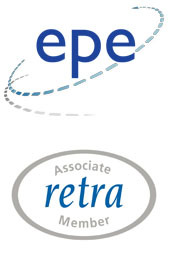 EPE has become the latest associate member of RETRA, the radio, electrical and television retailer’s association. Harry Singh, Investment, Sales and Marketing Director, said: “Independent electrical retailers are the mainstay of our business, so it made perfect sense for us to become an associate member of RETRA. 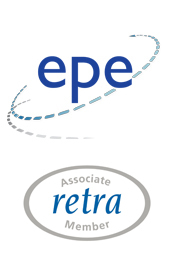 Bryan Lovewell, RETRA’s chief executive, said: “Strong relationships between businesses is crucial, and so we are pleased to welcome EPE Group as an associate member of RETRA. EPE have yet again proved they are The UK’s Leading Premium SDA and Cookware Distributor as they add Rowenta products to their EPE Exclusive list. 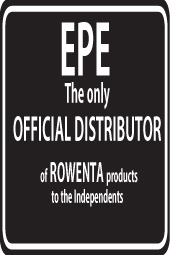 EPE now stock a range of Rowenta products including the Steamium iron, Garment Steamer and the Liberty Press. The EPE Exclusive range can be viewed in this months Buyers Choice on page 25-26. 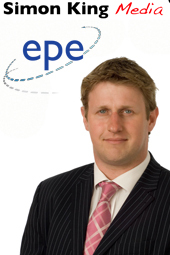 EPE has appointed well respected industry journalist Simon King as its new PR advisor. Simon, who also handles PR for the radio, electrical and television retailer’s association (RETRA), runs Simon King Media, a PR/journalism consultancy. He also worked on trade title ERT for 11 years. Harry Singh, investment, sales and marketing director, and Noel Pamment, managing director at EPE, said they were both delighted to appoint Simon King Media as the new provider of PR services to EPE. Noel said: “I’ve always been a great believer in the independent retail sector and I believe my company is going to do a substantial amount of business with them in the next 12 months. EPE have recently launched the WV75 PLUS Battery Driven Window Vacuum in white as an EPE Exclusive and the product received excellent feedback by visitors at the recent Autumn Fair. The product was available to try out throughout the show on the demonstration station on the EPE stand. The product is extremely quick and easy to use. 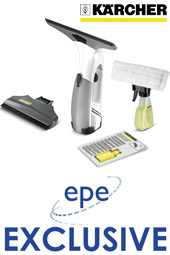 The EPE Exclusive WV75PLUS comes with a number of extras, including a microfibre wiper and an extra squeegee for smaller windows. Along with a FREE FSDU if you buy 9 units or more. You can view the full specification of the WV75PLUS along with the whole range of KARCHER products available from EPE in this month Buyers Choice on pages 57-58. 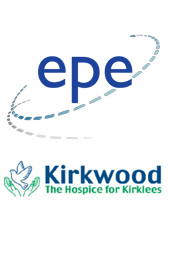 EPE were delighted to support their Head of Marketing & Design, Sally Bell, with her charity event to raise money for Kirkwood Hospice. Sally and a team of 11 walked 155 miles over 5 days from Kirkwood Hospice, Huddersfield to Welshpool, Wales to raise money for the hospice. To celebrate their achievement and to raise more money they held an auction evening for which EPE were only too happy to donate a range of SDA too. The SDA products helped raise over £1000 on the night, bringing the final total to over £5500. 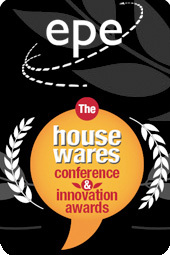 EPE will be attending the prestigious Housewares Awards on 3rd October 2012, sponsoring the Excellence in Retail Training Award. Ray Swarbrick, Sales Director at EPE took part in the validation and judging day for all the categories and the finalists have now been announced. Harry Singh, Investment, Sales & Marketing Director, said, “EPE chose to sponsor this particular category, as we believe excellent product knowledge is the key to successful sales”. These events have consistently attracted speakers, delegates, sponsors and entries from Britain’s most important housewares retailers and suppliers. Don’t miss this great chance to come and see us at the London Coffee Week the years largest event with 12,000 coffee aficionados and foodies, professional baristas, coffee shop owners and top decision-makers in the coffee industry for the UK’s most inspiring and dynamic celebration of coffee and food culture. The London Coffee Festival was born out of a dream to create the world’s most inspiring celebration of coffee and food culture. London is rapidly becoming one of the greatest places on earth to discover, taste and share incredible coffee and gourmet food, and is now established at the centre of the new ‘third wave’ coffee scene. Taking place in the unique environment of the Old Truman Brewery, Brick Lane, the coffee-obsessed and food fanatics will be immersed in a world of discovery, tastings, demonstrations and entertainment. The festival will be taking place from Friday the 27th April 2012 through to Sunday the 29th of April 2012.
to see whats in store for you at the festival. EPE exhibited their new and exciting range of quality housewares and cookwares range at the NEC spring international fair earlier this year, which has been the most successful year yet for EPE. The Autumn Fair is amongst the largest trade shows in the world, with over 32,000 visitors during the 4-day event. Click here for more information of about this year’s unmissable international autumn fair of the year. Dont miss this great chance to come and see us at the NEC Spring Fair 2012 the years largest home & gift event, with 300,000 NEW product launches, FREE seminars and trend presentations to benefit your business, and unmissable Spring Fair exclusive promotions. EPE are exhibiting at the NEC Spring Fair from the 5th – 9th of February 2012, you can find us in Hall 1 at stand 1M14 – L15, why not stop by for a chat with one of our sales representatives to hear about the latest deals we have to offer? With all NEW product lines and EPE exclusives we will be showcasing the very best 2012 has to offer, not forgetting our premium product portfolio. Dont miss this opportunity to meet face to face with the UK’s leading SDA & Cookware distributor, we are proud to present to you the most premium brands and the most choice under one distribution in the UK all under one roof at the NEC Spring Fair. See our premium product in action at Cooking Live an interactive kitchen located in the heart of Kitchen, Dining & Housewares – this is an opportunity to see the latest kitchen and dining products in action demonstrated by celebrity chefs. 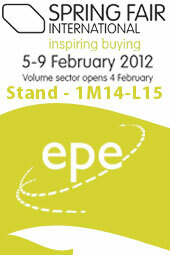 Stand 1M14-L15, Hall 1, 5 – 9th February!